They are a couple that appear to be as in love with leather clothing as they are with each other. 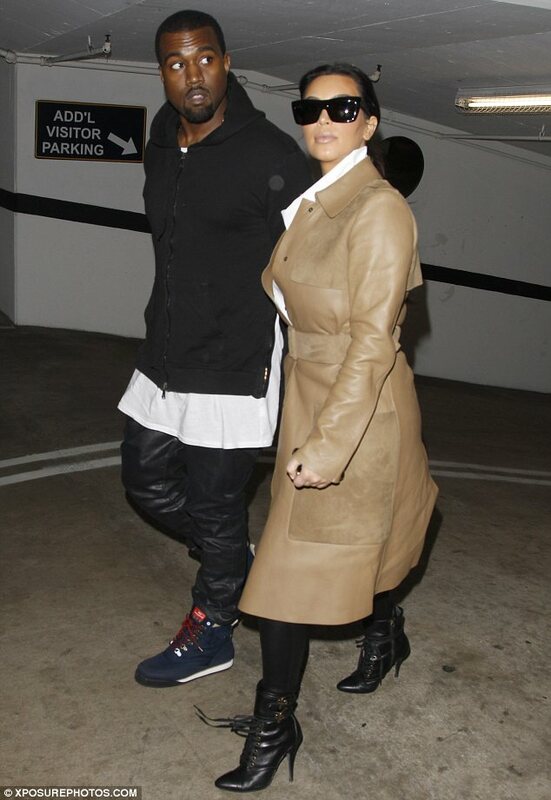 Kim Kardashian and Kanye West showed off matching looks as they stepped out in rawhide on Saturday in LA. 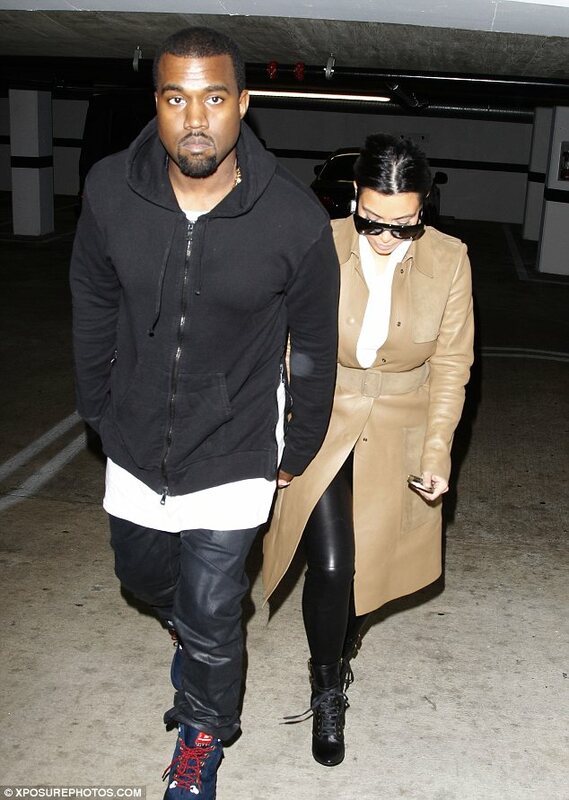 The 32-year-old reality star and her rapper beau were both wearing black leather trousers, but while Kayne’s were worn baggy, Kim opted for a tight fit. The model teamed her trousers with a crisp white shirt and a long beige jacket, that was also made out of her favourite material. 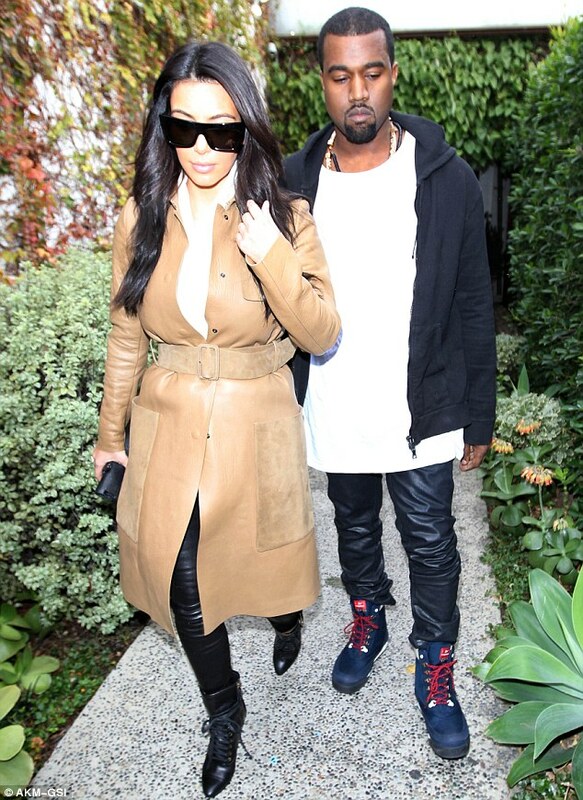 Kim was seen sporting a pair of oversized sunnies and pointed lace-up boots to finish off her look. Earlier in the day the pair were seen arriving at a gym together and neither looked particularly ready for a workout. 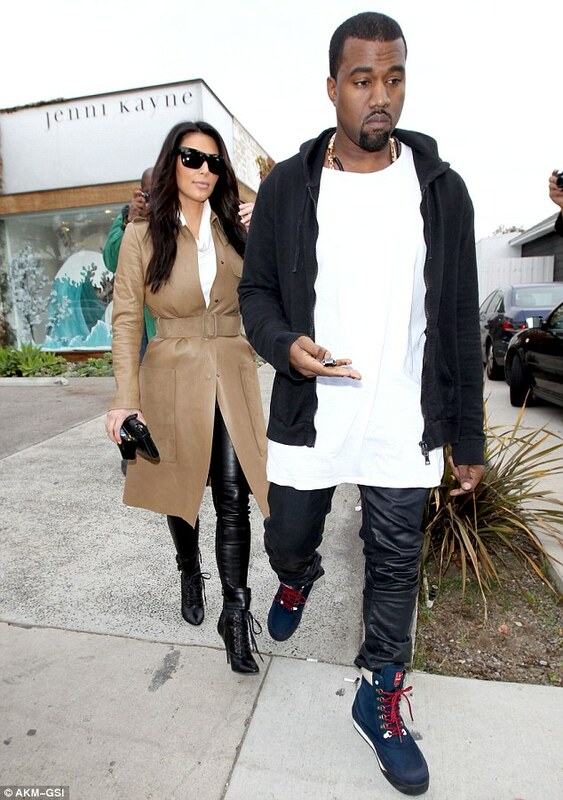 While Kanye wore his leather trousers, Kim decided on an up front style wearing a see-through top over two sports bras. 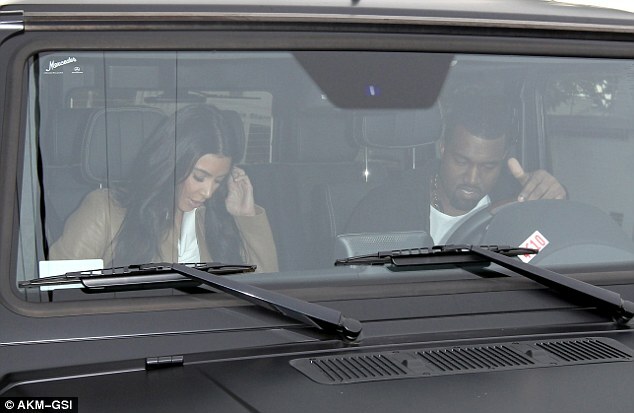 Kanye will be joining Kim and the rest of the Kardashian clan to celebrate Christmas. Rob Kardashian recently told E! news: ‘My mom has a really big Christmas party every year on Christmas Eve.